If you have a dog, you’ve at least heard the word “distemper” and know it’s a bad thing for your dog to have. But what is it exactly? 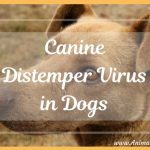 How do dogs get canine distemper? What can we do to prevent it? How is it treated and is it curable? Canine distemper is a serious, highly contagious, viral illness with no known cure. The virus attacks the respiratory, gastrointestinal, and nervous system. The disease affects dogs, and certain species of wildlife, such as raccoons, wolves, foxes, mink, and skunks. The common house pet, the ferret, is also a carrier of this virus. Canine distemper is related to the human measles virus. Young puppies and adolescent dogs who are unvaccinated, as well as non-immunized older dogs tend to be more susceptible to the disease. Yes! The virus highly contagious and is spread through the air and by direct or indirect contact with an infected animal. Direct contact would include contact with fresh urine, blood or saliva. Indirect contact would be through bedding, bowls, toys, etc. The most common way it is caught is by breathing in particles secreted by infected dogs. Canine distemper initially attacks a dog’s tonsils and and replicates itself there for about one week. It then attacks the respiratory, urogenital, gastrointestinal, and nervous systems. The dog will appear normal and healthy for several days after coming in contact with the virus. They will then shows symptoms of sneezing, coughing and thick mucus coming from the eyes and nose. The dog will experience high fever (103.5 ° F, or 39.7° C), lethargy, and sudden vomiting. Over the next couple of days the dog will develop diarrhea, depression and/or loss of appetite, usually leading to anorexia. After about four weeks, the virus starts attacking the other systems of the dog’s body, particularly the nervous system. 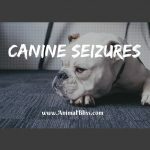 The brain and spinal cord are affected and the dog may start having fits, seizures, paralysis, and attacks of hysteria. The seizures are often so violent that euthanasia is often the most humane thing to do. In dogs or animals with weak immune systems, death may result two to five weeks after the initial infection. 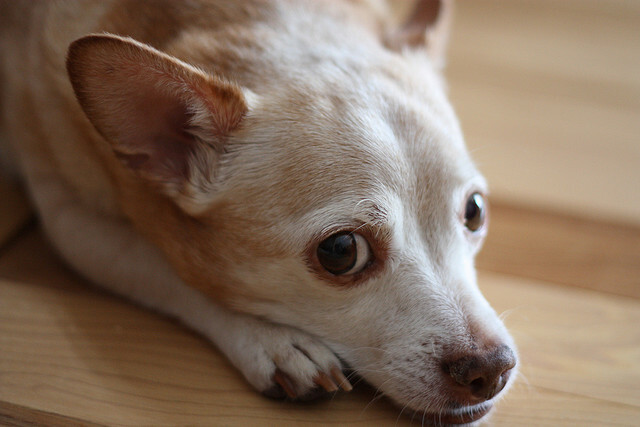 What Should I Do if my Dog Shows Symptoms? See vet right immediately! The virus spreads rapidly and must be aggressively treated as soon as it’s discovered. Diagnosis of this disease is done through biochemical tests and urine analysis. 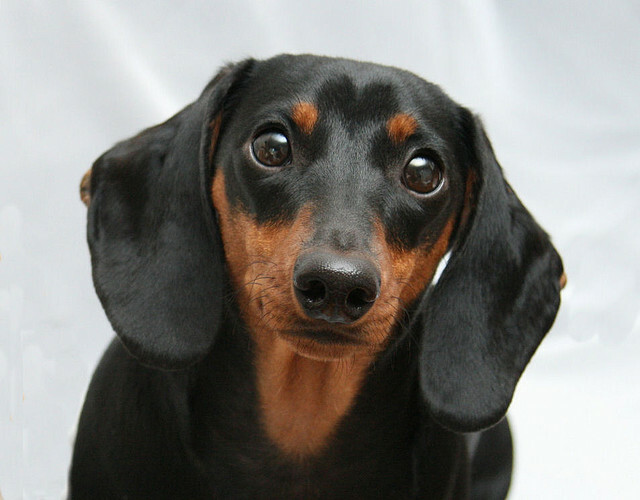 X-rays may be necessary to determine if the dog has contracted pneumonia. 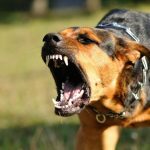 What Can I do to Prevent Canine Distemper? 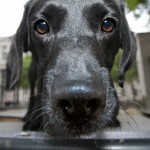 The best thing to do is to have your dog properly immunized against this disease. For a puppy, make sure he gets his first vaccination at six to eight weeks of age. Be sure to keep him away from any possibly infectious dogs or environments until he’s finished with his vaccinations at four or five months old. Immunization is very effective and especially important if your dog is around other animals. What is the Cure for Canine Distemper? At this time, there is no cure for the actual virus that causes Canine Distemper. Treatment consists of controlling the spread of the virus and severity of secondary symptoms such as vomiting and diarrhea. Constant care is needed to make your dog as comfortable as possible. 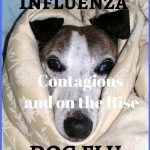 Intravenous fluids may be given to prevent dehydration and antibiotics to ward off secondary infections while the infected dog builds up his immune response. Some dogs are able to survive the infection, while for others canine distemper can be fatal. Dogs who recover from canine distemper may have seizures or other central nervous system disorders that may not show up until many years later, sometimes in their old age. They may also be left with permanent brain and nerve damage, and these symptoms also may not show up until years later. What an awful illness! Thank you for sharing the symptoms. Thanks for the info! I don’t have dogs now, but we had them when I was a kid. And, yes, I remember our doggie getting distemper. I have a cat now, and she’s just gotten back from some dentistry work from the vet. I love our vet! Thanks again for the great article. Hey, Patty. I actually didn’t know much about distemper either, until I started researching for this article. Like you say, it was just a shot that your dog needed to get, without question. Thanks so much for taking the time to read my post. I appreciate you! Thanks, Kimberley. I’m glad you appreciate the information. Peace! That is a very serious issue for you dog to have. Lucky for me, my dog Rico just has a bad temper. It’s the Chihuahua in him. He is mixed with Chihuahua, Boston Terrier and Shih Tzu. So much easier to prevent than to try and treat. Great info, thanks for sharing! Amy Shojai, CABC recently posted…Celebrating Old Cats: What Is Old? It sure is easier to prevent than to treat, Amy. You’re so right about that. Thank you for visiting my blog today? I’m going to visit your blog today to find out what makes an old cat “old”. Thanks! Great information! People are always asking because they don’t seem to understand dog illness as well as human illness. Yes, it’s important to know about serious disease like this to inspire us to keep our pets vaccinated, right, Christina? Thank you for your comment. Come back soon! I’ve been lucky enough to not have a dog go through this. But, we’ve been through so many other types of illness and none of them are fun. Hey, Jenn. You’re right. It’s not fun when your pet is sick. I’m glad you’ve been luck enough that your dog didn’t, at least, get distemper. Bravo for you. Take care! Come back soon! We are not so good at dealing with viral diseases, are we. Vaccination seems to be the best option at this time. Hello Jana. Thanks for stopping by my blog. Yes it’s so important to keep up with the vaccines. Better to prevent than to try and treat, which is often too late. I appreciate your comment. Take care. Great information and a good reminder to ensure coordination of vet care for animals! Thanks for your comment, MattieDog. I appreciate you visiting today. 🙂 Stay healthy. Thank you for sharing this important information with dog owners. Cats can also get distemper. Thankfully I have never known anyone who has had a pet with distemper; it sounds like a very difficult virus for pets to beat. Yes, you’re right. Cats can get distemper too. It’s a terrible disease, isn’t it? Very hard to treat. Better to prevent. Thank you for your comment! Many deadly disease can be prevented with proper vaccinations. It’s very important to make sure your puppy and kitten has a series of 3 vaccines about one month apart to be fully protected from these diseases. Nice of you to visit my blog, Dr. Anna. Yes, we have to be responsible with our pets to ensure they stay healthy. Thank you for your advice for puppy and kittens. Those vaccinations are critical for their care. Peace!